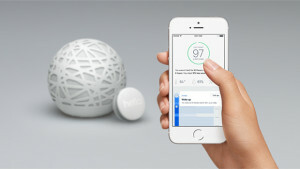 James Proud, a former Thiel Fellow who sold his first company, is back with a new company and sleep-tracking product called Sense that’s “part-Nest thermostat, part-Fitbit,” as Forbes describes it. In its original story, Forbes makes the company sound bootstrapped, saying Proud “seeded the company with earnings from selling his first startup,” and that the company’s “unmanufactured product” is now “subject to the whims of backers on Kickstarter,” where it launched a campaign this morning. If that’s true it’s a little odd, given that Hello, the parent company of Sense, raised at least $10.5 million from 44 investors as part of an $18 million round back in January. So shows an SEC filing we’d stumbled across earlier this year. For what it’s worth, I think it’s smart for venture-backed startups to test out their products on Kickstarter and other crowdfunding platforms. But if those companies want to turn to the public for support, they should be up front about their financing situations, both with reporters and with the people who might contribute to their campaigns. I happen to care, though. Maybe it isn’t sporting of me, but if a company is going to go to such great lengths to tell people its creation story, why leave out something so significant? UPDATE: Last night, Proud wrote me on Twitter that “always when asked about funding, simply said we’re not talking about it right now, but acknowledged we had raised money.” He then added, “[T]oo many companies launch with a focus that *isn’t* product. I did not want that to be the case for us.” Kickstarter has also responded to my questions this morning, saying that neither venture-backed nor publicly traded companies need to provide disclosures to potential campaign donors.